Rising damp is a common problem in many homes. The salts contained in groundwater can be absorbed into masonry which may result in visible salt deposits. 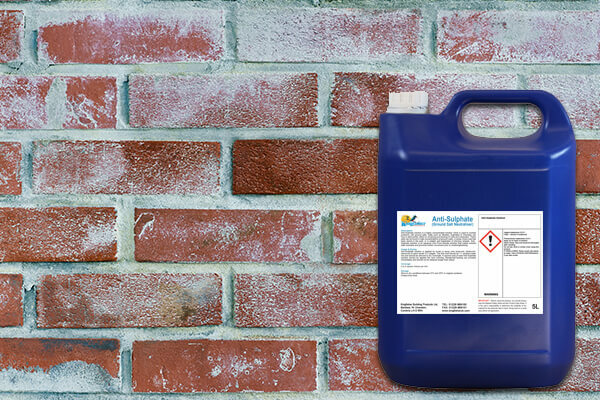 Our Anti-Sulphate Ground Salt Neutraliser is an aqueous solution. It has been specifically developed to rectify salt deposits on masonry. Whether you are finding salt contamination on plasterwork or exposed brick, this product will never fail to impress. If white deposits are beginning to appear on masonry, apply some salt neutraliser to battle the problem of salts. Often, people become concerned that a damp proofing course has failed. Although usually, that is not the case. This product can help you to save substantial sums and time, so you won’t need to re-plaster the affected area. 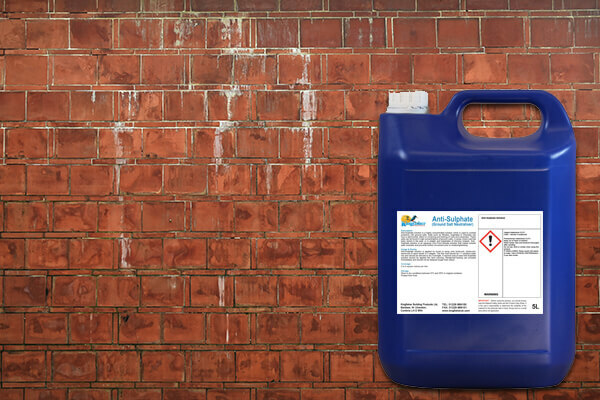 Kingfisher Anti-Sulphate Solution is applied by brush or low-pressure spray onto brickwork, blockwork, stonework and sand/cement render in 2 stages. One litre of Kingfisher Anti-Sulphate Ground Salt Neutraliser applied in 2 coats will cover a surface area of approximately 2 square metres.